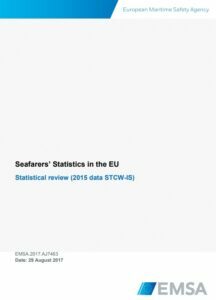 EMSA issued a review of Seafarer Statistics in the EU, based on data extracted from certificates and endorsements registered by EU Member States until 31 December 2015 and recorded in the STCW Information system. 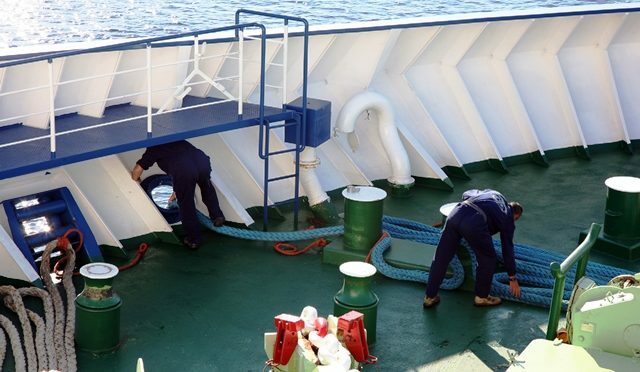 The review represents a snap-shot of the European labour market, in terms of the number of seafarers holding valid certificates and endorsements in 2015, aiming to contribute to a better understanding of the maritime labour force in Europe. 182,662 masters and officers hold valid certificates of competency(CoCs) issued by EU Member States and 102,861 masters and officers hold original CoCs issued by non-EU countries with endorsements issued by EU Member States attesting their recognition. 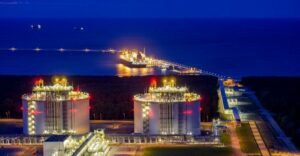 The end of 2015 saw slightly above 1/4 of a million masters and officers as potential manpower to serve onboard EU-flagged vessels. 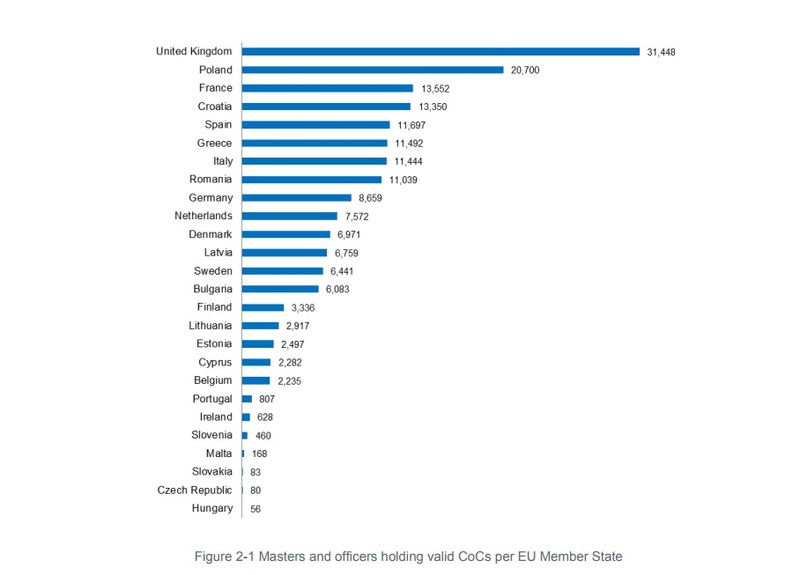 The five EU states that had more masters and officers holding CoCs were UK, Poland, France, Croatia and Spain. The five EU states that had more masters and officers holding EaRs were Malta, Cyprus, UK, Netherlands and Luxembourg. The five non-EU countries that had more masters and officers holding their CoCs recognised by EU were Philippines, Ukraine, Russia, India and Turkey. The total number of masters and officers available to serve onboard EU flagged vessels increased 15% in relation to the 2014 data. In the case of masters and officers holding CoCs issued by non-EU countries, the percentage increased from 34,93% to 36,03%, while it decreased form 65,07% to 63,97% for those holding CoCs issued by EU states.